If you have someone who will only do a good job based on a large bonus, you really need someone else. Typically, 60-80% of senior leaders’ pay is tied to performance – whether performance is measured by stock prices, quarterly earnings, or otherwise. And yet, from a review of the research on incentives and motivation, it’s wholly unclear why such executives’ compensation packages are not fixed. Research based on human behaviour – because remember, CEOs are human – we identify five problems with performance-based pay. It isn’t very pretty. 1. Contingent pay only works for routine tasks. On routine tasks where learning is not necessary, highlighting performance goals works great. But research shows that it's less successful if the job involves learning and creativity. Research by Duke professor Dan Ariely and his colleagues showed that variable pay can enhance people’s performance on routine tasks – like a factory worker. But where innovative, non-standard solutions are needed, results showed that variable pay hurt performance. 2. Fixating on performance can weaken it. Performance-based pay is named so because incentive plans encourage leaders to hit specific goals. But as researchers have found, if you want high performance, performance is indeed the wrong goal to fixate on. 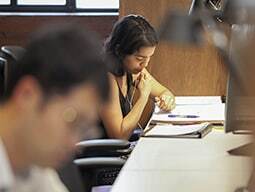 Recent research by one of us (Cable) and his colleagues showed that consultants’ creativity improved when they focused on learning rather than results, and also were more likely to help their colleagues perform. 3. Extrinsic motivation crowds out intrinsic motivation. When people feel intrinsically motivated, they do things because they love what they do. When people are extrinsically motivated, they do things because they will receive bigger rewards. And when financial incentives are at stake, the love of the job weakens. A meta-analysis of 128 independent studies conclusively confirmed that when financial incentives are applied to increase senior leaders’ extrinsic motivation, intrinsic motivation diminishes. More on this topic later in the article. 4. Contingent pay leads to cooking the books. When a large proportion of a person’s pay is based on variable financial incentives, those people are more likely to cheat. Research by Maurice Schweitzer and colleagues has revealed the relationship between goal setting and unethical behaviour is particularly strong when people fell just short of reaching their goals. Research from our colleague Daniel Effron also shows that cheating occurs at the last chance to do so – named, ‘The cheat-at-the-end-effect’. 5. All measurement systems are flawed. Incentive plans demand that metrics are used as the trigger for a payout. Whatever measure you use, you will undoubtedly end up with an imperfect quantification of what you would like your executives to do. Research by Mihaela Stan and one of us (Vermeulen) showed that in IVF (fertility) clinics, the measure of success seems unambiguous and objective. After focusing on distorted metrics, health-care providers’ behaviour negatively impacted clinics’ long-term performance. In short, research has proven that performance incentives aren’t effective for complex work requiring novel solutions. High bonuses can lead to unethical behaviour, even cheating, and high pay rewards strip out the desire to do the job for the love of it, replacing passion with remuneration. Our solution might seem radical, but it’s based on evidence. We argue in favour of abolishing pay-for-performance for top managers altogether. We propose that, instead, most firms should pay their top executives a fixed salary. We are not arguing that CEOs should be paid less. We believe that CEOs, and in fact senior executives in general, should receive a fixed salary rather than a variable amount of money dependent on performance criteria. Even if only 30% of pay is flexible, there’s a high probability that the incentive will distort the executive’s behaviour, and that the metrics to activate the bonus will be wrong. If you think that by suggesting senior executives’ pay be fixed is "throwing out the baby with the bathwater”, that’s an understandable response. But consider this: in order to tie pay to long-term performance, we need to understand two crucial points. First, can you define long term? Second: can you define performance? Put them together to create ‘long-term performance’ and what do you get? Ambiguity. Why do we do the things we do? What is it that drives our behaviours? Extrinsic motivation occurs when we are motivated by a desire to gain a reward or avoid an adverse outcome. Intrinsic motivation involves engaging in behaviour because it is personally rewarding: the desire to participate in an activity for its own sake. Good CEOs really don’t need extrinsic motivation. And pay-for-performance destroys that all-important intrinsic motivation. Another debate consideration is about getting the right people on the bus. You might think that a large percentage of variable pay will help attract top executives in the first place. That may be true in some cases, but who will be attracted to such a package? Extrinsically motivated executives, of course. Are those leaders right for your company? Evidence shows that people – including top managers – will in fact start to behave differently if you make a large portion of their pay dependent on a measure of performance. But it will not be in a way you want them to behave. Fixing executive pay is a radical solution. And there are arguments for either sides of the debate. But in this case, we say fix it, to fix it. The objectives of any company and its CEO must be aligned. If CEO's is fixed, how do you expect the company will grow ??? Couldn't agree more with the article or sentiment. Anything that helps us move away from the quarterly earnings/results at any cost mentality that had made the Western world so sort term focused should be applauded. Bonuses by their very nature are both skewed to short term performance and therefore open to manipulation. Anybody who thinks otherwise is either completely inexperienced or looking at the world in rose tinted glasses. The role of the company's internal audit and controls should be effective to avoid any kind of cheating or altering results to the benefit of the CEO and therefore protecting the interests of the company and ensuring that result and goals are achieved as planned. I disagree with the article. I believe that CEOs should be paid based on their performance, goals can be set to ensure that both the company's and CEO's interests are met. Interesting argument to which I'd like to add a suggestion. The cost of a CEO is non-trivial and company purchases of this size would normally go out to tender. An intrinsically motivated individual might be expected to offer a lower price. I agree with you why do you need someone who just motivated bexouse he will get handsome pay but why companies always prefer this type of pay , is it becouse until now shows a good result ?